Molisia offers a variety of unique features, it stimulates diuresis, promotes digestion, is light and suits low-salt diets. Molisia mineral water combines science, quality and balance in one word: Love. It is the 'love for our work, our territory and those who consume our products and have driven our philosophy for 120 years. And it is with this approach that we searched for and chose Molisia spring, and scientifically found that valuable and unique spring which represented the one condition that was essential for life as we know it. Mineral water is considered in effect part of the nutritional requirements like other foods, drinking water does not just supply the body with fluids but also allows it to assume the precious minerals contained in it. 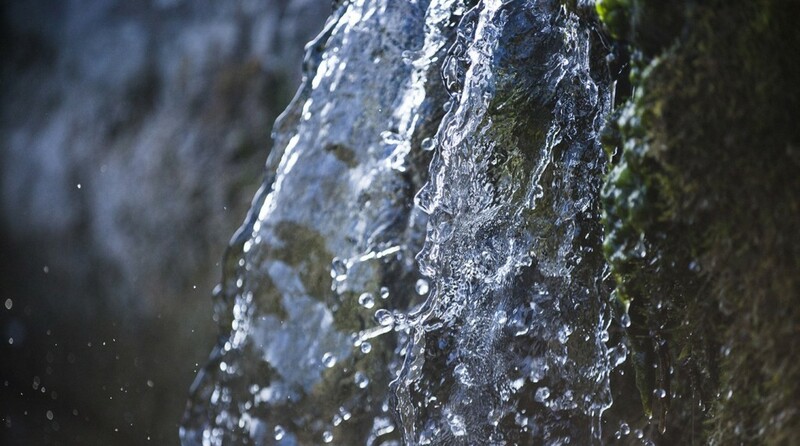 Nutritionally, water supply must be adjusted and balanced in regards to both quantity and the type of dissolved minerals. Based on age and gender, the type of physical activity and bio-anthropological characteristics different subjects make different choices. 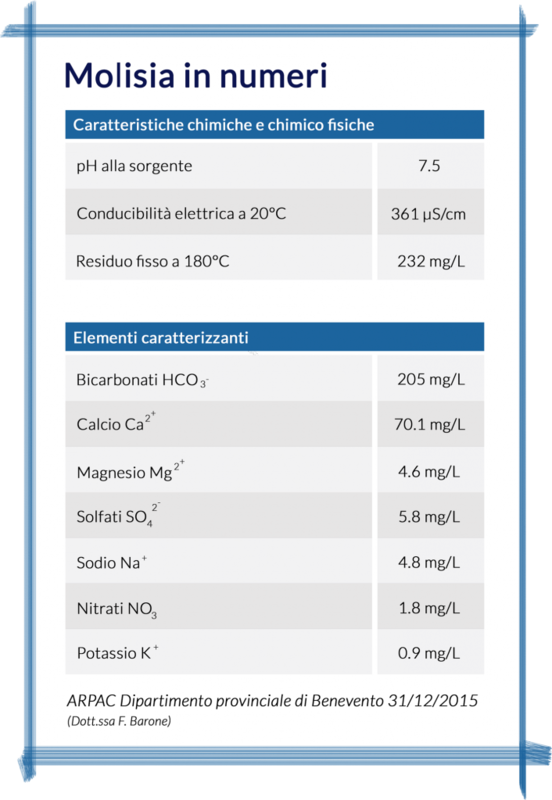 Molisia mineral water can be classed as low-mineralized, regarding bicarbonate and calcium prevalence, is low in sodium with almost no nitrites and is characterized by a particularly well-balanced content of minerals. Its chemical and physical composition gives it a diuretic effect, purifying and effective for childhood nutrition. In fact, evolutionary age meets the needs of a physical phase of intense growth, contributing to the achievement of an adequate intake of calcium. Molisia mineral water is essentially a diuretic water, promoting the elimination of toxic metabolic degradation, and its bicarbonate-calcium component facilitates the action of pancreatic enzymes aiding in digestion. Some university studies in progress have shown that the use of calcium bicarbonate mineral water can be a great help to counteract the effects of lowering the main salivary pH responsible for the genesis of dental caries. Every day we perform stringent laboratory controls to ensure quality and hygiene in the bottle.